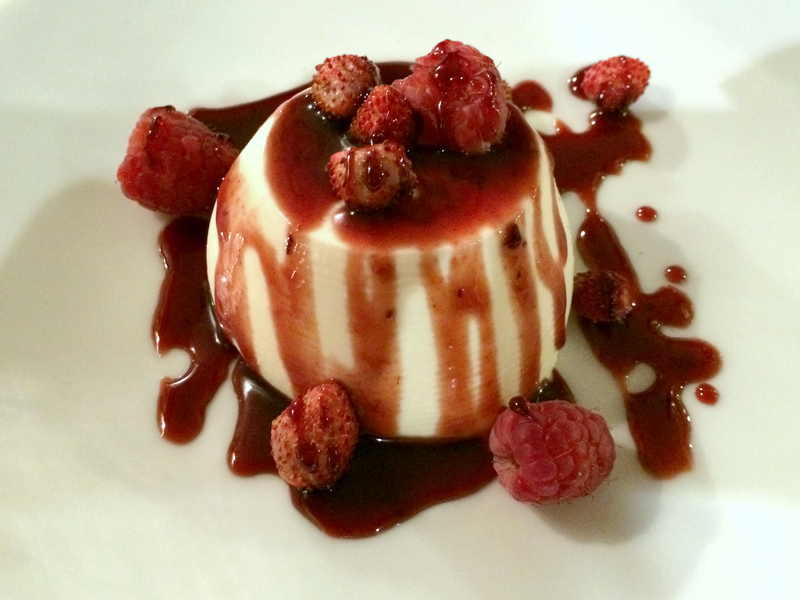 Smooth, creamy panna cotta served with tiny wild strawberries, fresh raspberries, and berry compote. Panna cotta is an Italian dessert from Piedmont in the Northern region of Italy that is made from a mixture of cream, milk, sugar, and gelatin. It can be served with anything from fresh fruit to caramel or chocolate. It is served at Osteria der Belli with berry compote, raspberries, and some lovely little white strawberries that are surprisingly sweet and delicious. I haven’t checked a scale, but I can only imagine I must have gained at least a couple extra pounds. 😉 If so, it was worth it. It’s not every day I’m in Italy! Utterly delicious looking. I wish I could grab it off the screen! I love the presentation. Delicious! I love panna cotta!